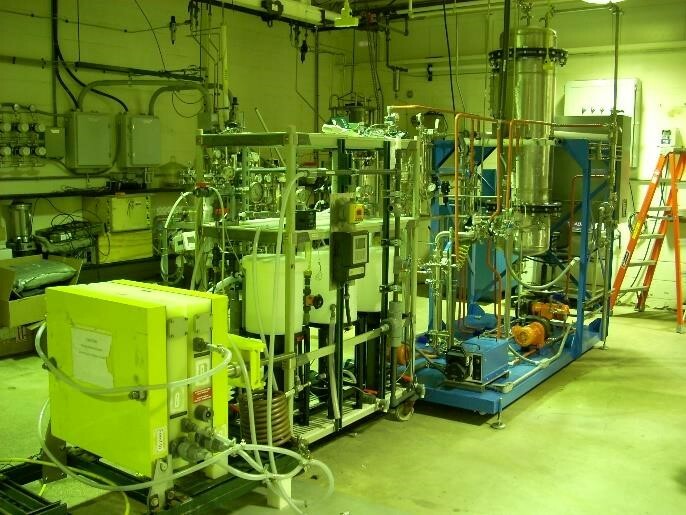 Description Argonne National Laboratory evaluates and tests process designs and integrated technologies for chemical separations; nanomaterial characterization, and development and fabrication of materials for separation sciences and engineering. 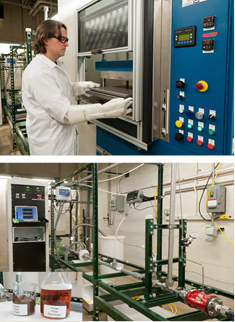 Argonne has both laboratory and pilot-scale units to test various membrane separation technologies including MF,UF RO, selective membrane separations, ceramic membrane contactor (for liquid-liquid extraction), electrochemical ion-exchange membrane separation, and ion-exchange resin wafer membrane separations. Process development at Argonne can be carried out at various scales and in a phased approach to help industrial partners evaluate various technologies. Examples include exploratory studies for feasibility evaluation and bench-scale process optimization up to pilot-scale demonstration. We provide the key process performance data and analysis to help industry make an informed business decision on new process commercialization. 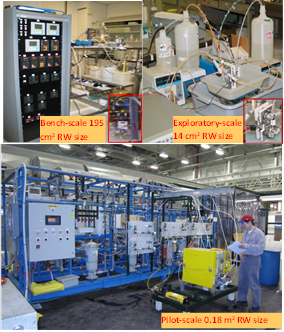 Argonne has established the following capabilities to shorten deployment for application of RW EDI or ICST to new process systems. Limitations Argonne’s proprietary resin wafer technology enables the cost-effective capture of organic acids or salts from dilute aqueous streams. The linear scale-up feature significantly reduces the R&D risk for industrial applications. Argonne is also developing automatic manufacturing technology for resin wafer fabrication that will significantly reduce material costs for RW EDI systems. Unique aspects Argonne’s proprietary resin wafer technology enables the cost-effect capture of organic acids from dilute aqueous phase. Its near linear scale-up feature significantly reduce the R&D risk for industrial applications. Argonne also developed an automatic manufacture technology to fabricate the resin wafer material. Availability Argonne has more than 8 laboratory-scale RW-EDI pieces of equipment that enable simultaneous evaluation of applications. 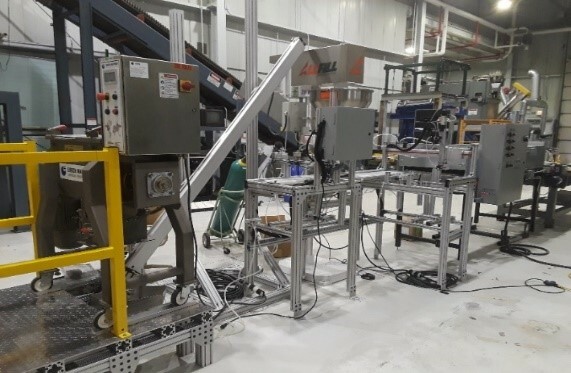 We has a skid-mounted pilot-scale of RW-EDI system and microfiltration membrane separation system for pilot-scale process performance evaluation. Field demonstration of a pilot-scale separative bioreactor, integrated separation and fermentation. Automatic assembly line for industrial-scale wafer manufacture.